Babblings of a Mommy: The Romper Room. 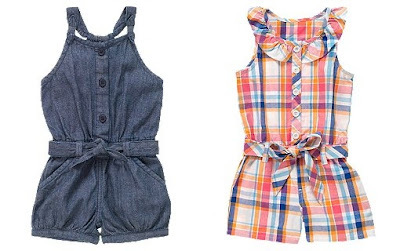 I was looking through my daughter's closet today to find something to put on her for school, and I didn't realize till now how OB-SESSED I am with rompers!! 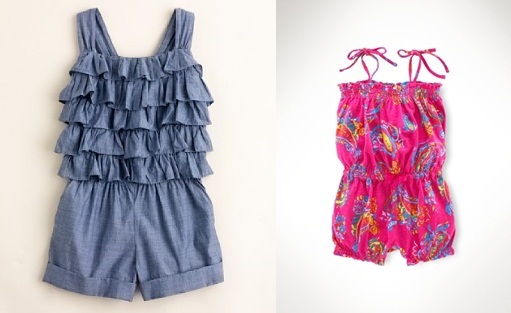 Chambray/Stripes/Hearts/Ruffles/Flowers--she has one in almost every color! I can't help myself. They're so darn cute!!! Is it bad that I want to steal some and make them my size? Is that normal? No--just me? 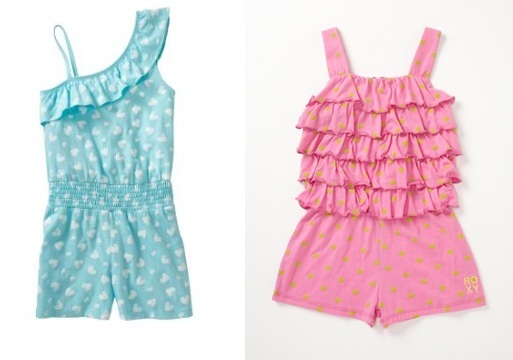 OK.
Well, in case I'm not the only romper crazed mom out there--I found these uber cute ones on the market! Are you a romper fan? 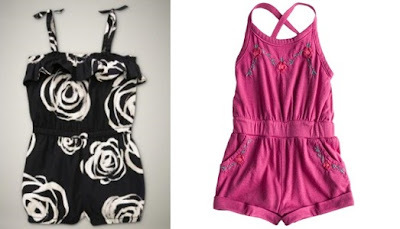 Love the rompers look! Wish it were warm enough in chilly SF for my DD to wear them. Question, I have always wondered about. Does it make bathroom trips more complicated? Sorry to be crude, just always wondered about the logistics. It can if your kiddo is just starting potty training, but if they're not--it shouldn't be a problem. I told my daughter once how to take it off and she's had no problem wearing them. check out this cute patchwork one by Sudo. Love the Crewcuts ruffled chambray one- we could definitely work in some layers to that. The patch one is cute and Crewcuts clothes are ALWAYS adorbs. Love 'em!